Sometimes, you just need some time to relax and take it easy. Maybe you’re getting over an illness or an operation? Or perhaps, as a Carer, you simply need a break while you recharge your batteries. We understand that being a regular Carer for a loved one can make it difficult to arrange some respite for yourself and you may feel apprehensive about going away. St David’s Home can provide a high quality respite care service for your loved one, affording you the peace of mind to relax and enjoy yourself, knowing they will continue to receive the necessary care and support. As St David’s Home does not have specific respite rooms, the ability to provide respite depends entirely upon the availability of rooms at the time of the enquiry, however, every effort is made to accommodate such requests. Our respite service provides all the care needed in a high quality environment; all delivered by trained, qualified and caring staff. Many residents who have first come to St David’s on respite care either stay long-term or return permanently at a later stage. 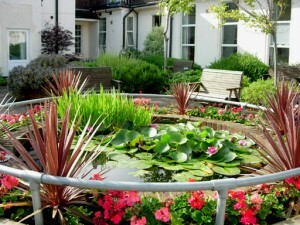 A respite stay can be a gentle introduction to life in a nursing home.